What is the best beach resort in Bulgaria? – Review Part 2. As we promised, here is part to of What is the best beach resort in Bulgaria – Rewiew. We delay it a little, but please do not be angry with us. Sozopol – Sozopol is one of the southern resorts in Bulgaria. He is known for not so have clubbing but relaxing well and enjoys the Black Sea cost. In Sozopol you will NOT find any big hotels or resorts. You will find some small hotels and guest houses, very nice restaurants. For Sozopol is known that is for romantic people, couples with no, or small kids will enjoy there we promise. Nessebar. Nessebar is place with a lot, a lot of history behind. More than 3000 years ago Nessebar were still there… It is the city of ancient civilizations and nations. It has a lot of restorants with amazing cocking and night bars. Near Nessebar is Sunny Beach – the biggest resort in Bulgaria and there is much louder than this ancient city. So if you are some kind of history lover you will love the place. Albena. Ablena resort is a close complex. It is surrounded by forest and is the last place to be on the northern side of black sea shore. Albena has a 5 km long beautiful sandy beach with no rocks or something like that. Albena is also close to Golden Sands resorts so if the young want to party there are a lot of transportation to GS. 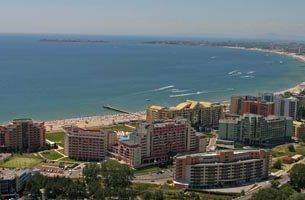 Albena is known for the strict polices of pollution and noise. If you want to visit place that is amazingly clean and quiet this is it. We promise that you will be not disappointed. Obzor – Obzor is a little known resort in Bulgaria. Even Bulgarian people do not prefer it, or do not go there… Still this is one of the best places to relax, there is no big night clubs and there is no noise, just sun, you and sea… There are some huge and luxury, modern hotels there and you can use the opportunity to make the perfect mix – quiet summer vacation and luxury experience. Thanks for reading it, loveing it, shareing it. Expect more and more very nice articles about Croatia Holidays and Home Services like cleaning, plumbing and so on… we are here to help to choose carefuly. All Best from The Place to Stay! Top 3 reasons why you should visit the Sunny Beach Bulgaria right NOW! 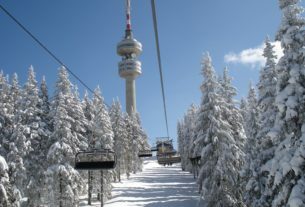 Find you answers for Bulgaria Ski Holidays – Guide for beginner’s part 1. See where are Bulgaria’s most visited summer resorts and enjoy summer 2017!